Tap symbols for info. Tap for Full-Screen. This map shows accommodation for Megève. To locate Hotels and Chalets elsewhere, tap a marker or select a link from the menu to switch maps. Check availability and prices for Dozens of Chalets and Apartments in Megève. Set 1 km from Petit Rochebrune Ski Lift in Megève, Appartement Dallas offers accommodation with a kitchen. Free WiFi is available in this apartment, located 1.3 km from Megeve Ski School and 2.6 km from Jaillet Ski Lift. Boasting air-conditioned accommodation with a balcony, Appartement Sabaudia is located in Megève. 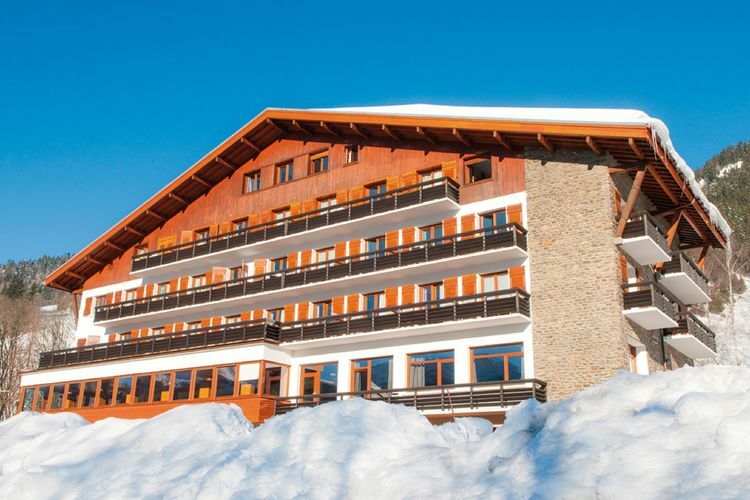 The Megeve Ski School is within 500 metres of the apartment, and free WiFi is provided. Important Information A damage deposit of EUR 2000 is required. Just a 5-minute walk from Megève centre, Les Clochettes feature self-catering apartments in a chalet with mountain-like decoration and balcony with mountain views. Free Wi-Fi and free parking are provided. Featuring a terrace, Chalet L'Attrape Coeur is situated in Megève, not far from Megeve Ski School and Jaillet Ski Lift. Important Information Please note that bed linen and towels are not included. Offering mountain views, Appart-Hôtel Le Relax - Megève Centre is an accommodation situated in Megève, 1.4 km from Megeve Ski School and 1.6 km from Jaillet Ski Lift. The property is 2.4 km from Petit Rochebrune Ski Lift. Located less than 1 km from Jaillet Ski Lift, Appartements in Hotel Rent offers accommodation with a balcony. All units are equipped with a flat-screen TV and a fully equipped kitchen with a a fridge and coffee machine. Set 2 km from Petit Rochebrune Ski Lift, 2.1 km from Mont d'Arbois Ski Lift and 2.2 km from Petit Vorasset Ski Lift, Appartement Cocon provides accommodation located in Megève. This apartment is 2.3 km from Megeve Ski School and 3. ANCOLIES Duplex 4/6p is an apartment situated in Megève, 40 meters away from the Caboche Petit Rochebrune ski lift and 100 meters away from a ski school. It boasts views of the mountain and the village and is 900 metres from Megeve center. Located on the ski slopes, 100 metres from Rochebrune cable car and Megève Ski School, this apartment features a balcony with mountain views. Free WiFi is provided throughout the property. Important Information Bed linen and towels are not provided. CROCUS 4/6 personnes is an apartment with free WiFi, located on the ski slopes in Megève, 100 metres from Rochebrune cable car and Megeve Ski School. Free private parking is featured. There is a seating area and a kitchen. GENTIANES avec Balcon pour 4p is an apartment with free WiFi throughout the property, located on the ski slopes in Megève. It features views of the mountain and is 100 metres from Rochebrune Ski Lift and Megève ski school. Well-kept hotel-residence with Spa near charming Megève. Les Chalets du Prariand is a well-maintained hotel-résidence with 50 hotel rooms and 16 neatly furnished two-room apartments. Sunday 30th June 2019, 7 nights, Self Catered. Monday 1st July 2019, 7 nights, Self Catered. Chalets and Apartments in other Ski Areas within Ski Pass Mont Blanc. Chalets and Apartments in other popular Ski Areas near Megève. Note :- Ski Accommodation deals to Megève are subject to change until booked. You must check any particular requirements directly with the Operator at the time of booking.